Happy Hump-Day everyone! I hope your week is going well. 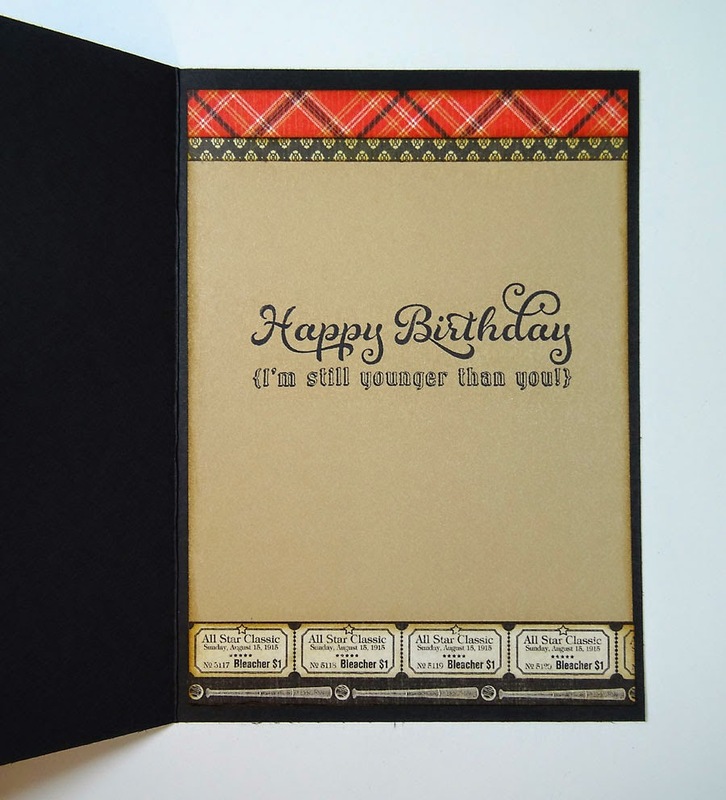 I'm featured over on the Graphic 45 blog today with a lovely 5" x 7" card using Graphic 45's Botanical Tea collection. I'm seriously NOT bragging on myself by calling my own creation "lovely". You see, ANYTHING you create with Botanical Tea can be nothing short of lovely. If you've seen it in person, you know what I mean. 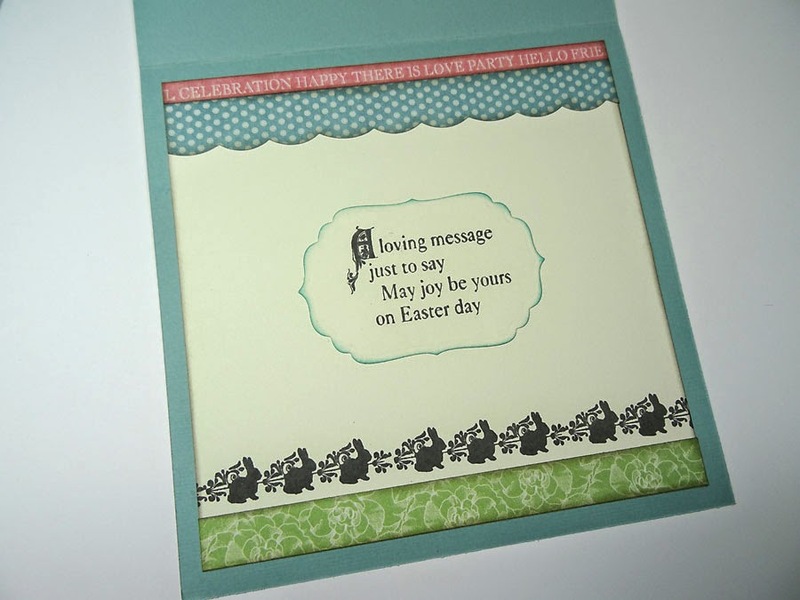 So take a peek at my card here then be sure to go to the G45 blog where I provide a tutorial for you. 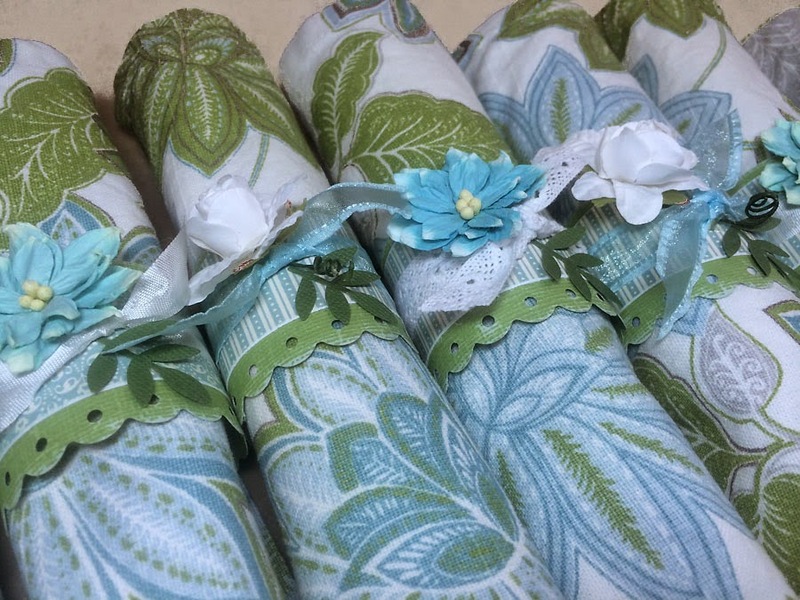 Also, while you're there check out Denise Johnson's clever Couture card which has spaces inside for little gifts for the seamstress or quilter in your life. Such a great idea! As always, thanks for popping in. Have a terrific day! Happy Friday bloggers. First off, thank you ALL for such warm congrats you've left me here, Facebook, Instagram and Twitter. A girl can really get a big head from all this awesome praise, but I promise not to. 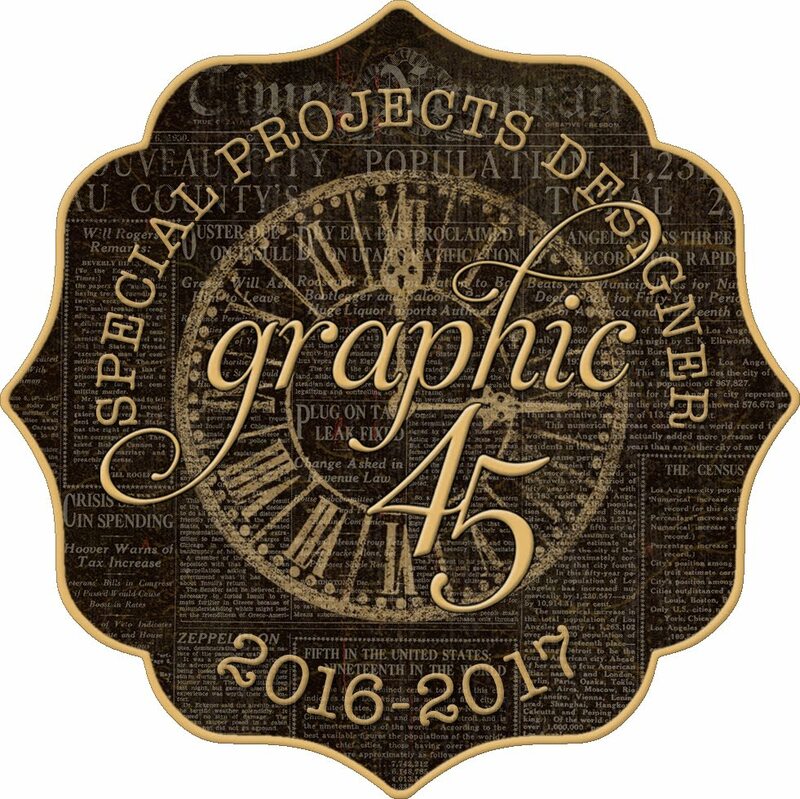 Making the Graphic 45 design team for a second year is a thrill and an honor and I will be devoted to creating my brains out in hopes of inspiring you and making you happy when you come to visit here. 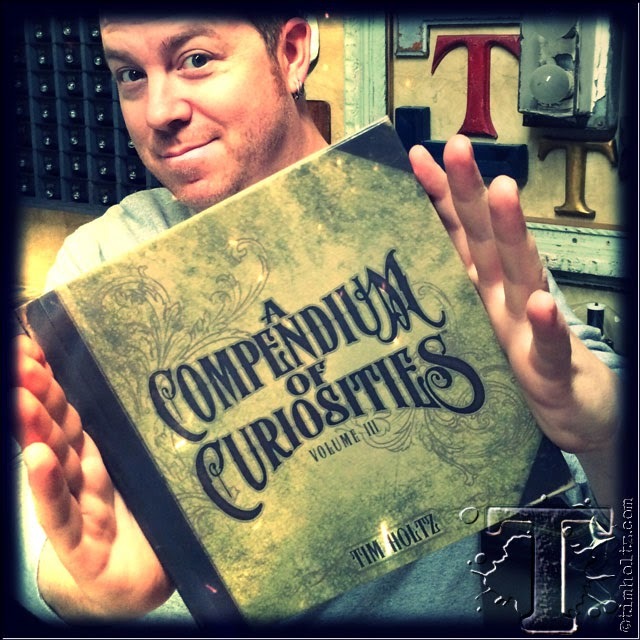 On to the Compendium of Curiosities III Challenge. It begins this Saturday y'all! Will you be playing along? There's some great prizes to be won and in more ways than one! Tim and Mario have donated TONS of goodies to Miss Linda over on the CC3C blog and those prizes will be awarded for each challenge by a special Curiosity Crew pick. See all the details on Linda's blog Saturday. Also, as I mentioned before, there's another way to win goodies. By random generator, a winner will be selected after each challenge which our sponsors (Inspiration Emporium and The Funkie Junkie Boutique, alternating) will then send free goodies. We'll be working our way through the entire book every two weeks, so there will lots of opportunities to win! Don't have your Volume III yet? Well, get with it! You can order yours, signed by Tim himself, by going here. You'll have two weeks for each challenge. Even if you're not participating, you're bound to be inspired, but of course we hope you purchase Tim's book and join in the fun. Prepare to learn some awesome techniques, tips and tricks by the master himself. Stay tuned Saturday for our first CC3 Challenge. Can't tell you what it is yet, but I've finished my little project and can't wait to share it with you. So be sure to come back and see me and the rest of the Crew. The best place to start is always at the beginning: Right here. Thanks for popping in. See you then! It's gonna be another amazing year bloggers! I've just discovered I made the Graphic 45 Design Team again. It was a rough, tense morning waiting for the announcement. I thought our internet was acting up because I couldn't log on to certain websites, namely Graphic 45's blog. At precisely 8:00 a.m., they were to announce the final team members, but I couldn't get ANYthing! I waited, I tried everything I could think of. I even called a few people, but no one was around. So Suki and I jumped in the car with my iPhone and raced to the nearest Wi-Fi hot spot (McDonalds) and I tried again. Nope. Not working. Ergh!! However, Facebook WAS working and that's how I found out. Fellow 2014 team member Susan Lui congratulated us (thanks again Susan). Then I discovered from Graphic 45 on Facebook that their Typepad host was down. Thankfully, they attached a link to their newsletter and that's when it was officially confirmed for me. (In the car in McDonald's parking lot. Suki's back there somewhere.) Such a dork, I know. You can check out everyone's final audition videos on the Graphic 45 blog (which is now up and running just fine) to get to know the new designers and their styles. What fun! I'm thrilled and honored to be serving another year and can't wait to get my hands on the new products coming out. Have you seen the two new Spring releases yet? Well, it's time to check them out this week on Graphic 45's blog. Today, below the DT list, they are sharing sneak peeks of the papers from the new "An Eerie Tale" collection and later this week, a second new collection that I know you'll LOVE. 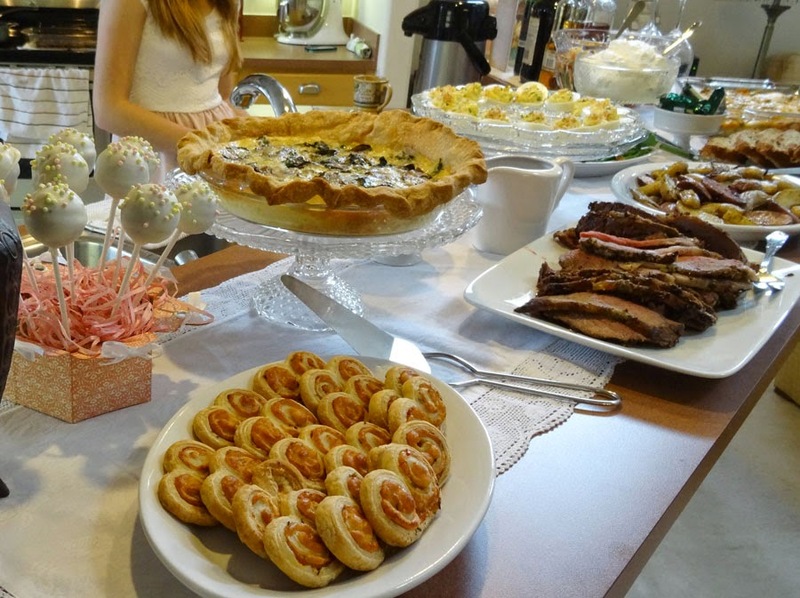 Now that I've shared my exciting news with you, I thought I'd pop up some pictures from our Easter brunch yesterday. It was such a nice day with family. The food was great, we sipped Mimosas, and talked for hours. 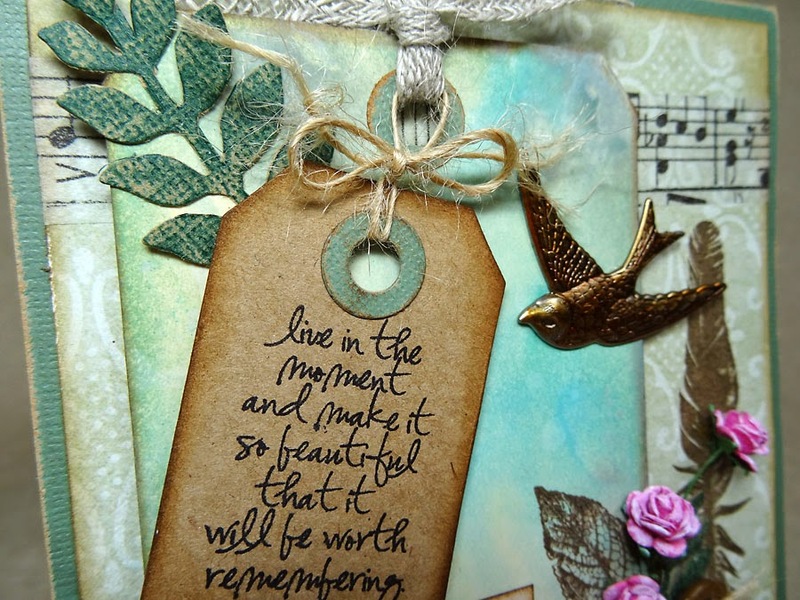 I don't blog much about it, but my second passion to paper crafting is cooking & entertaining. I look forward to cooking dinner every night (a foreign concept to many of you, I know) and trying new recipes; always striving for as healthy as possible while maintaining great flavor. I've been an avid Cooking Light Magazine subscriber for over 10 years and I can't wait to get each issue and try things out on my family. Getting the table ready for brunch. 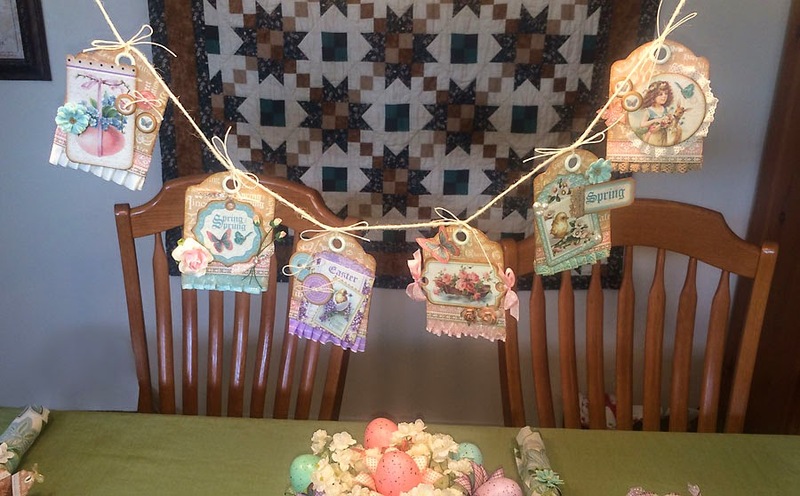 All the pretties I made for Easter with Graphic 45's Sweet Sentiments collection adorn my table. The cake pops are sitting in each little treat holder at everyone's seat. 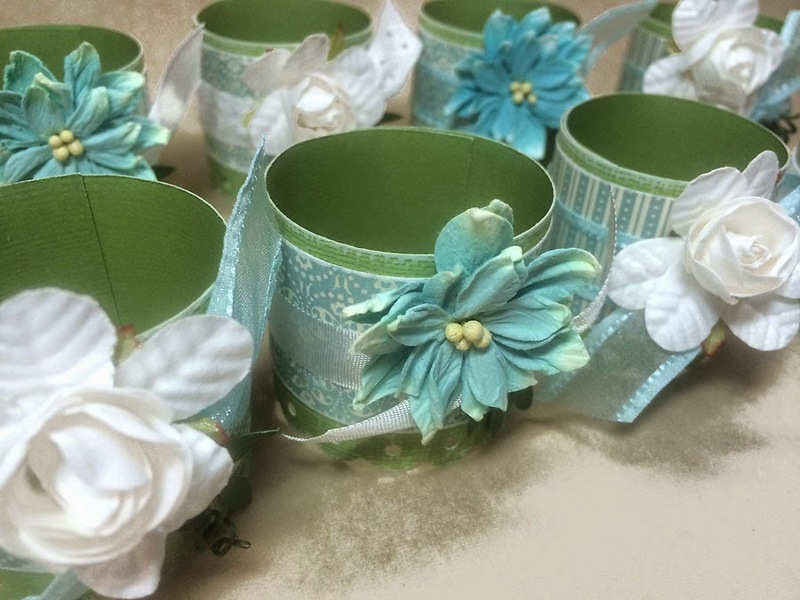 The napkin rings are on the napkins and the egg blossom centerpiece is perched atop a vintage mini cake stand I found recently at an antique store. 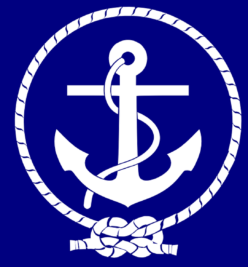 The banner is hanging over the table. I don't like to fill up the dining table with lots of trays and dishes of food, so when I entertain I prefer buffet style. It also looks prettier this way. 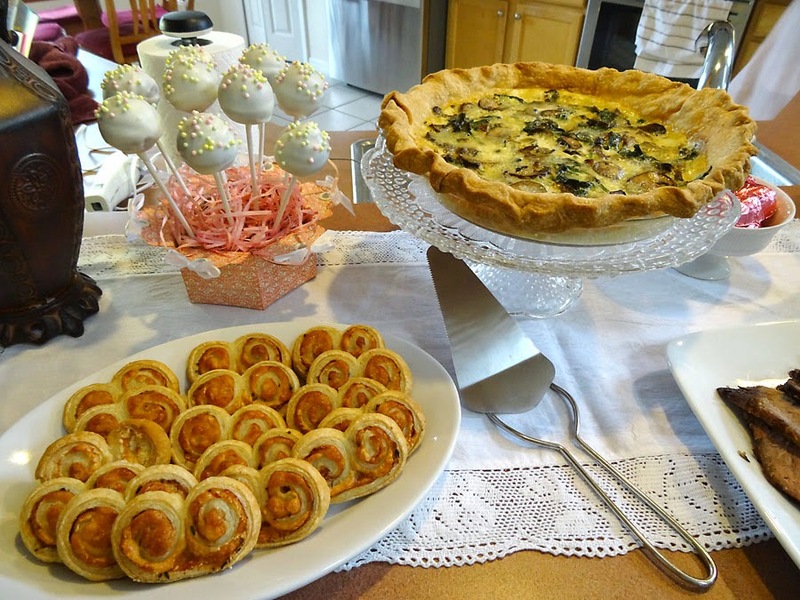 You can use pretty plates, cake stands, and such to elevate things for a nicer presentation. Everyone just grabs their plates and moves down the line. 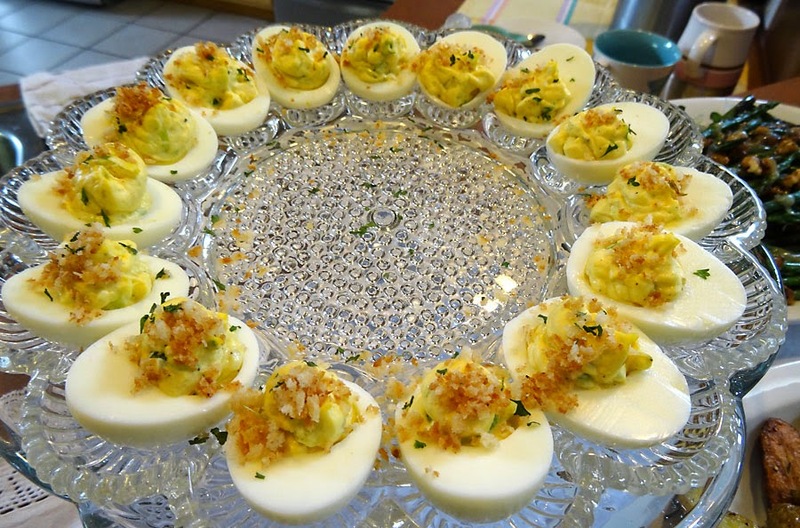 I tried a new deviled egg recipe this year and it was a HUGE hit. Herb & Crumb Deviled Eggs (also Cooking Light, April.) The two key ingredients that made all the difference: chopped fresh tarragon in the egg mixture and toasted panko crumbs sprinkled on top. Gosh, they were to DIE for! 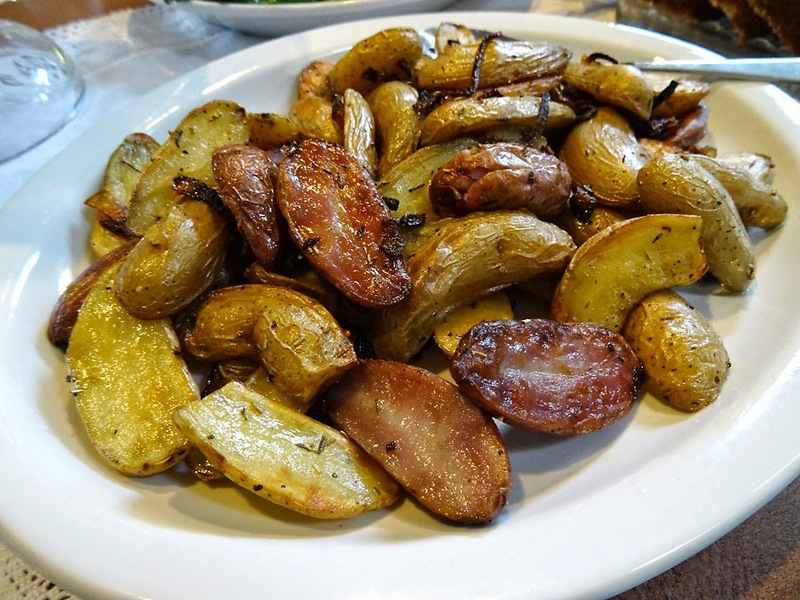 Oven-roasted fingerlings with lots of shallots, rosemary and thyme. 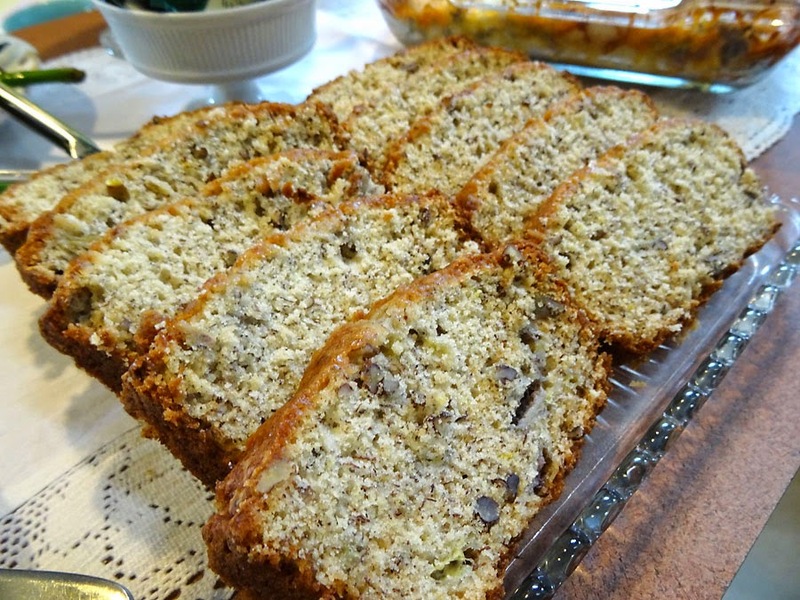 Banana Nut Bread. I like to grate a bit of lemon rind into the batter and I use pecans instead of walnuts. Makes such a difference. 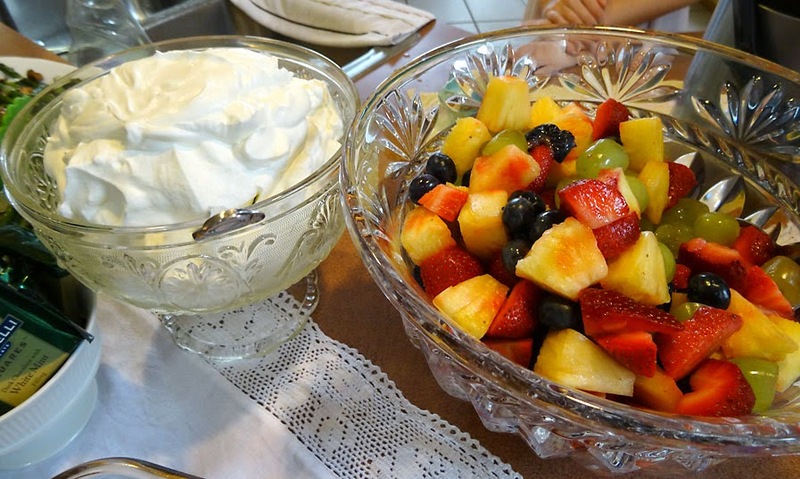 Fresh fruit bowl with "healthy" whipped cream. 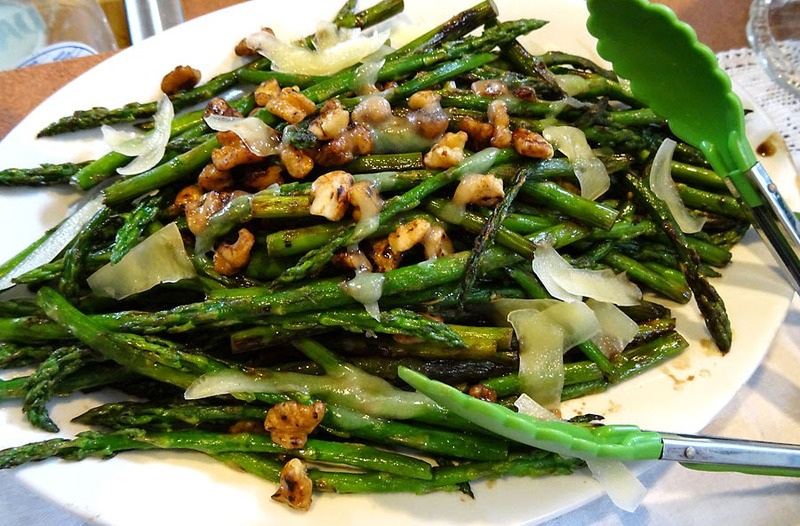 Another idea from Cooking Light. Just mix some plain, low-fat Greek yogurt and use less heavy whipping cream than usual and it tastes even better than the full-fat version! I had some fun going around the room taking selfies with everyone. I realized as I was working on a Father's Day project the other day that I have hardly any photos of my father and me together. I'm usually the photographer getting everyone else's pics, so I made sure to get myself with everyone in the family this time, including Suki. 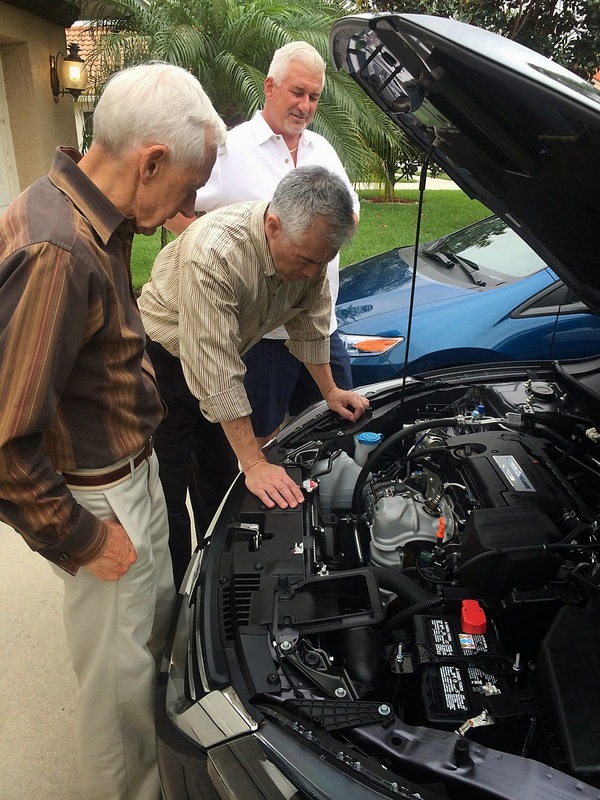 After dinner, the guys had to go check out my Dad's new Honda Accord. It was a big deal that he got a Honda since he's always been a Ford/Chevy kind of guy. Paul and I have owned several Hondas over the past 20 years. We love them! It was really a great day. I hope you had a lovely Easter Sunday as well. It's always nice to make time for family, no matter what the occasion. Thanks for stopping in today! Have a fabulous Monday!! Good morning all! 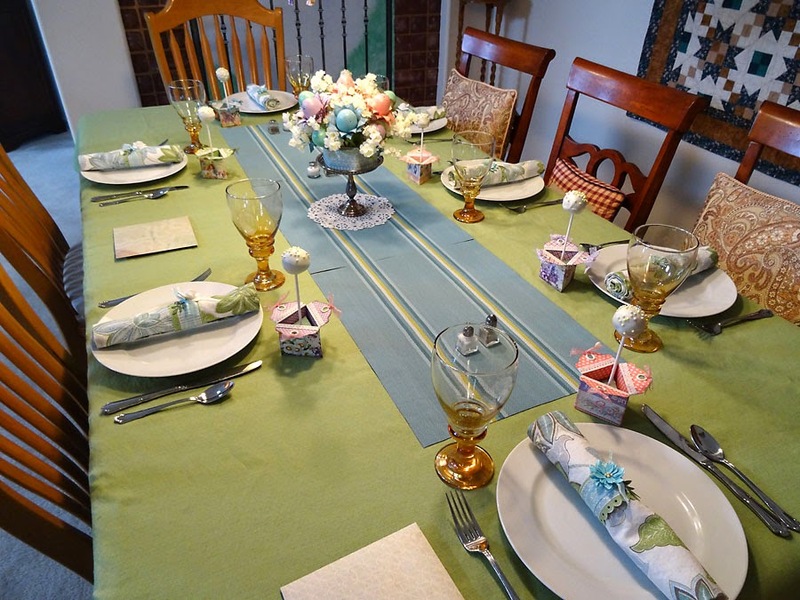 Easter is this Sunday and I'm hosting a small family brunch, so I got busy with my Graphic 45 Sweet Sentiments papers (perfect for the season) and made a pretty centerpiece, egg blossoms, treat holders, napkin rings and a festive banner for the table. Whew! You can check everything out on the Graphic 45 blog today. You'll find a video tutorial, two Snapguides for my projects AND pdf templates to make your own! 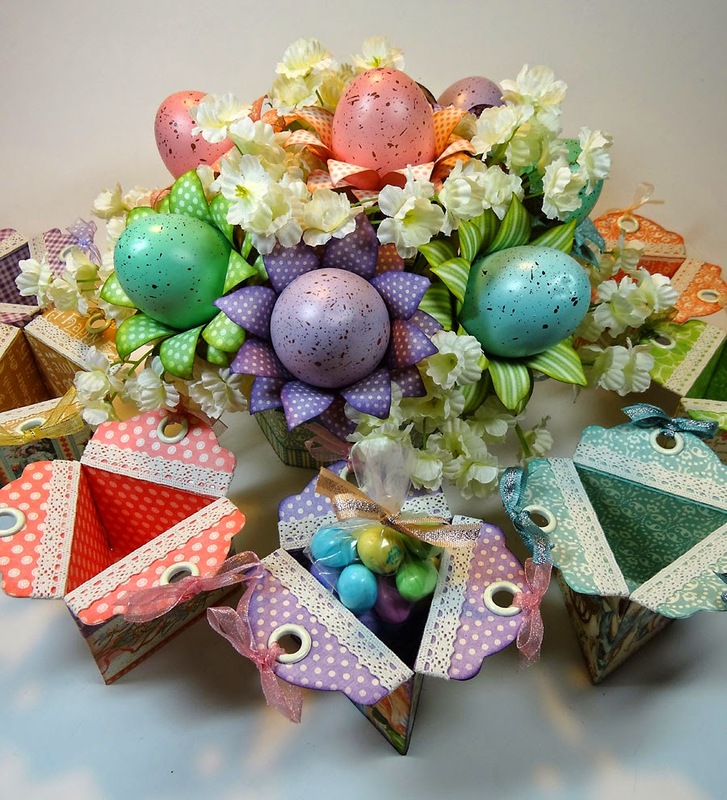 You'll also see a beautiful card by Arlene and a wonderful little Easter basket and egg tag set by Maiko. I am officially hooked. Snapguide is the best. I have to admit, as much as I enjoy YouTube, I get SO very frustrated with long, drawn-out how-to videos. For me, it's got to be concise and to the point and under 15 minutes or I just won't watch it. That's why I am loving Snapguide so much. Quick, to-the-point how-to's that I can easily refer back to again and again. And it's super easy to use, from a guide-maker's point of view. Graphic 45 is featuring a handful of Snapguides on their blog today for their sponsored contest/give-away under the category of "Upcycling." 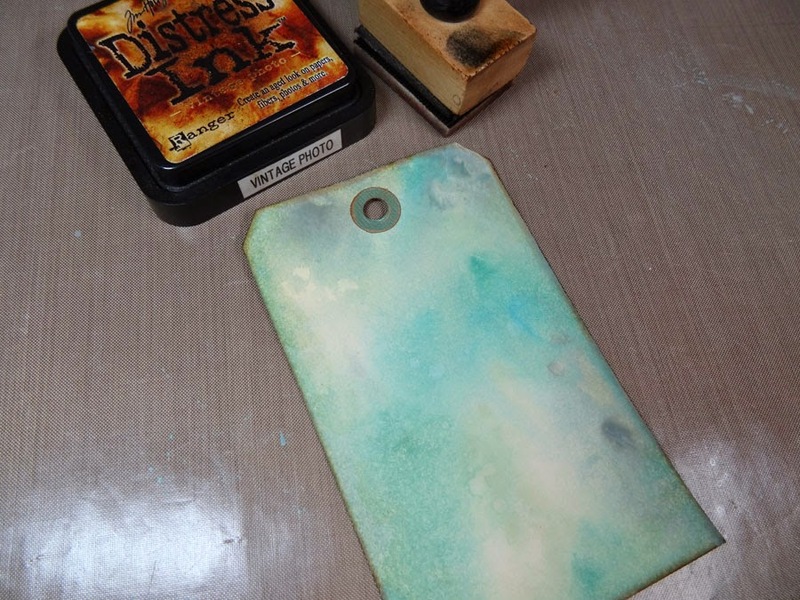 Giving new life to something one might normally discard. 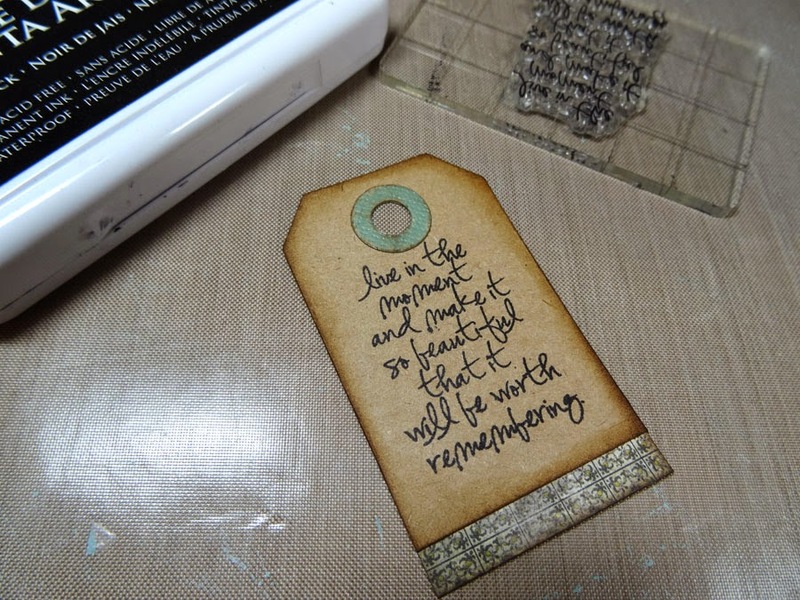 I love the idea of repurposing something rather than simply throwing it away. Fellow design team members are in on the action. 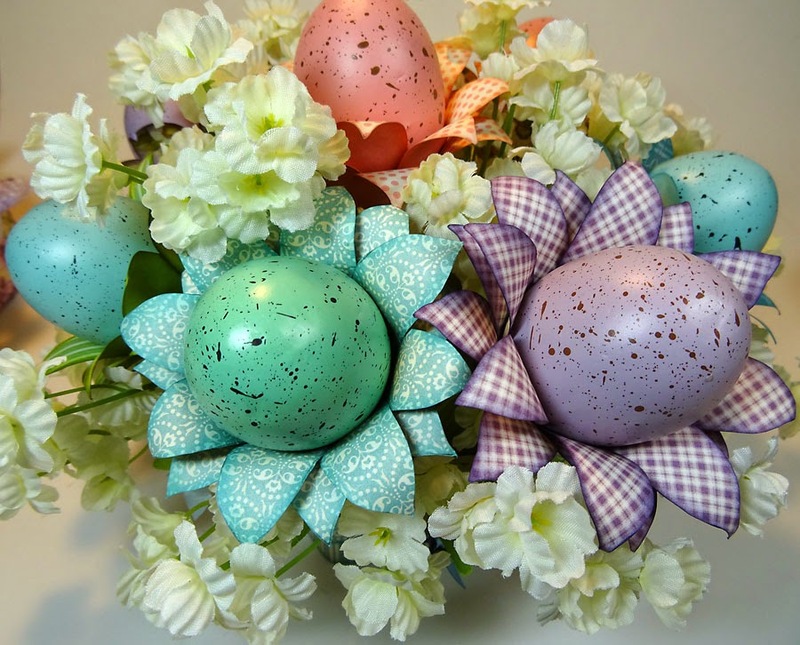 Miranda Edney shares how to upcycle little plant pots into pretty Easter decorations. 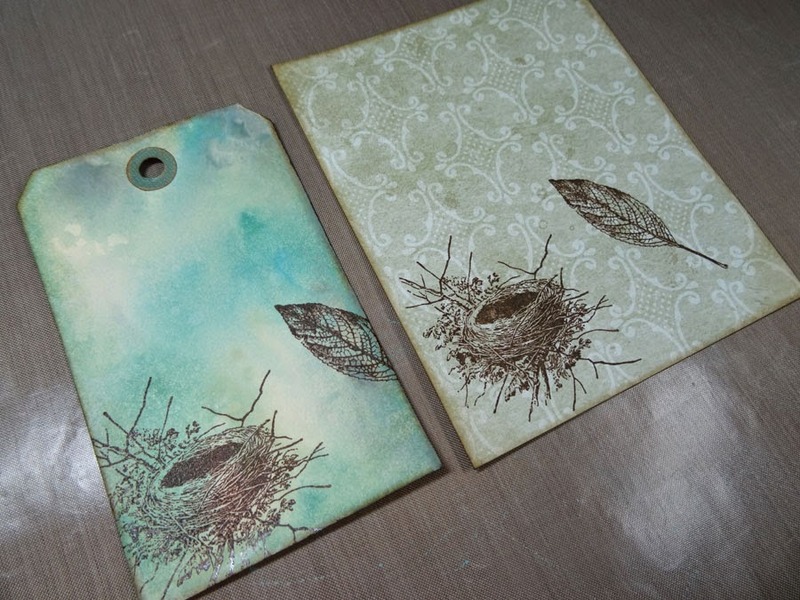 Susan Lui shows us her beautiful altered envelopes, and Maria Cole upcycles some salt & pepper shakers. You'll also learn how to create some pretty cool wall art from cereal boxes, and how to make a coffee table from an old door. So what are you waiting for? Download the Snapguide app on your mobile device (it's free!) or visit Snapguide.com. Meanwhile, hop over to Graphic 45's blog today and check out the guides I mentioned above. You can view them all in one spot. Thanks for stopping by today. Have a happy hump day! I'm always in need of Thank-You cards, aren't you? Seems to be so many kind people doing nice things these days. Over the weekend I needed a Thank You card for someone special yet in all my card stash, however, I couldn't find a single one. Egad!! So I grabbed some pretty paper and got to work. 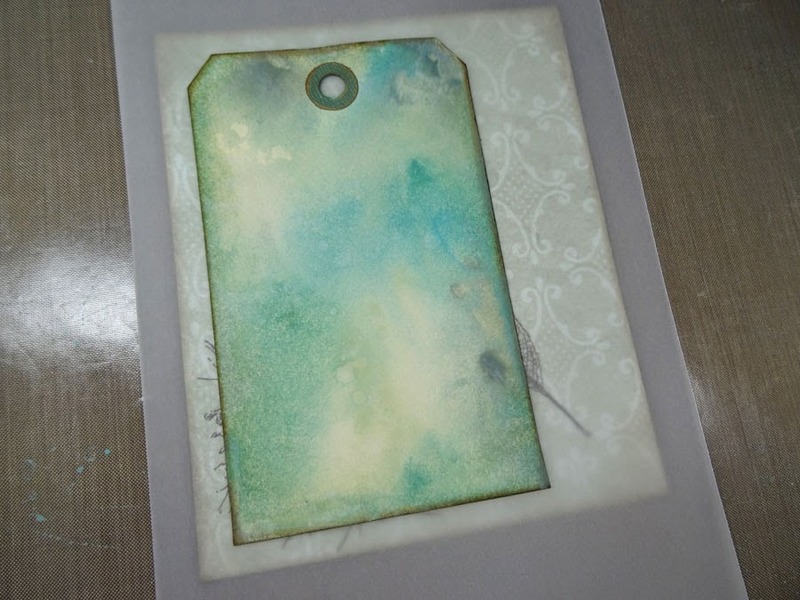 Check out How to Create a Pretty, Shabby-Style Thank You Card by Annette Green on Snapguide. Thanks for checking it out. 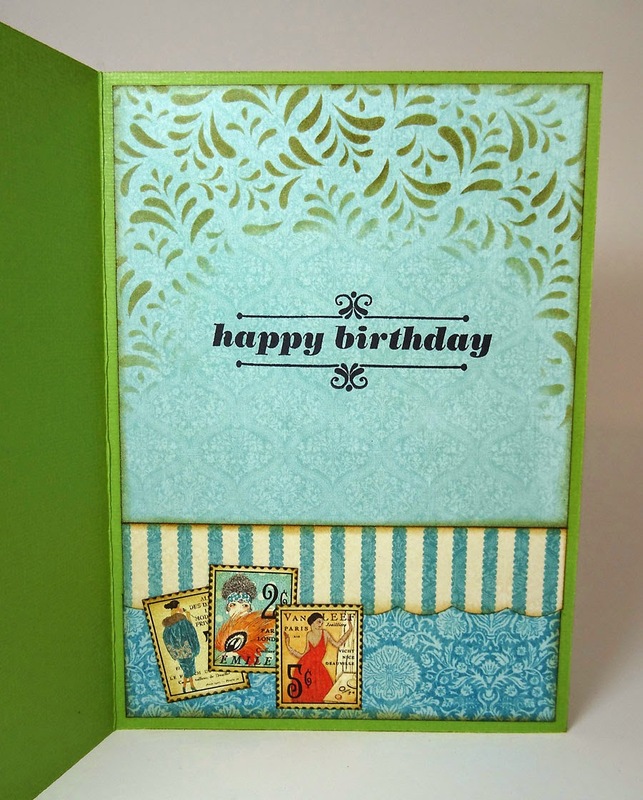 You can make this card with any pretty paper and stamps you have on hand. I hope it inspires you. I enjoyed using up some older paper I'd been hoarding for a while. Okay, let me just say in advance. I'm a dork. I know I am. I'm a Mom-dork. A lady too old to be acting cute, but can't help myself. Because when I'm doing my thing, I'm still that crazy teenager in my head. So if you watch my videos or see pictures I post of myself, just know that in my head I'm still young and silly. 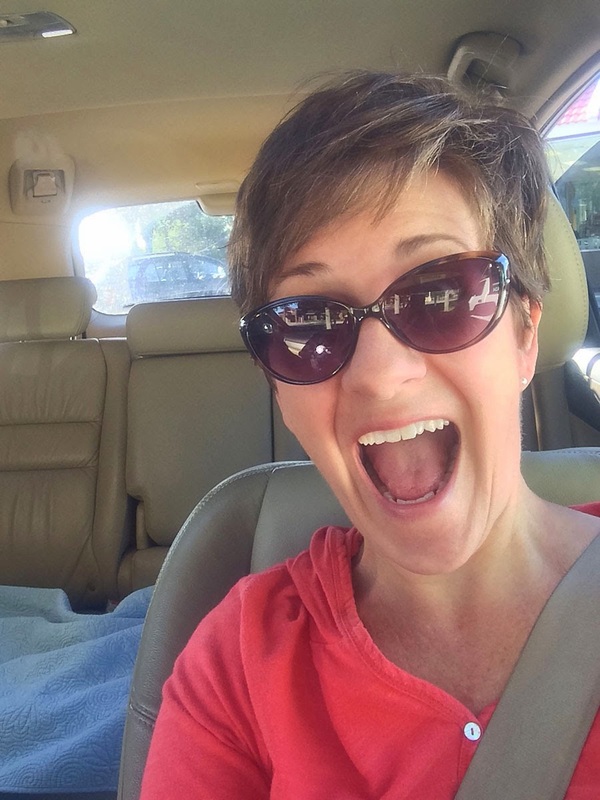 My 16-year-old daughter is mortified by my behavior, but hey, I am what I am right? With that said, I've finished my tutorial project for my audition video for the Graphic 45 Design Team final round. No matter what the outcome, I had a great time creating this fun beach-themed centerpiece and video and have had an amazingly fabulous year being on the Design Team! I'm happy with however things turn out. 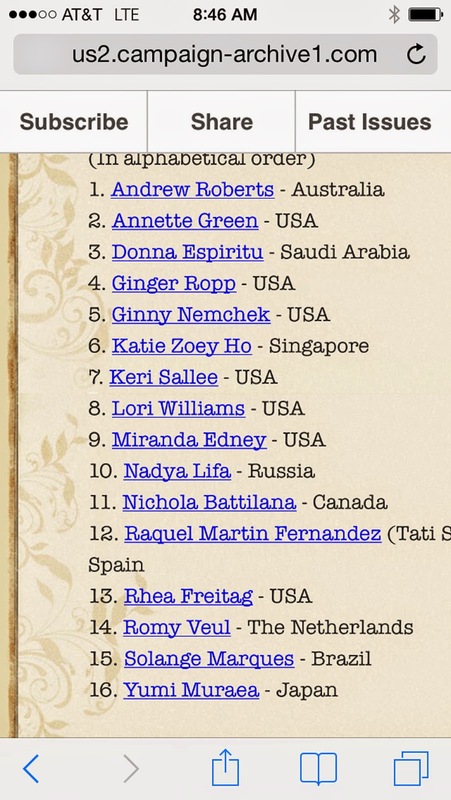 The final decision after reviewing all the finalists' videos will be announced on the Graphic 45 blog on April 21st. So be sure to go there and find out along with me. They'll ll also be posting all the final team members' audition videos, so that should be fun too. Meanwhile, feel free to take a look at my project and video and let me know what you think. I'd love to know! Thank you in advance. Your comments mean a lot to me! Hello and happy Monday! My weekend turned out to be pretty busy and I never got the chance to blog about Snapguide as I had promised. If you're clueless what Snapguide is, I'll give you an idea. Think Pinterest meets YouTube. However it's mostly like a slide show rather than a video. Here's the deal. You go to Snapguide.com or download the Snapguide App (even better) and you have access to all sorts of "how to's" in lots of different categories. Once you find one you like, you swipe your finger across the screen of your mobile device to flip through the photos and the steps. Usually "guides" are concise, so it's very efficient, as opposed to having to sit through a 30-minute video. If you can't get the App, you can use your computer. Just go to Snapguide.com and check it out. 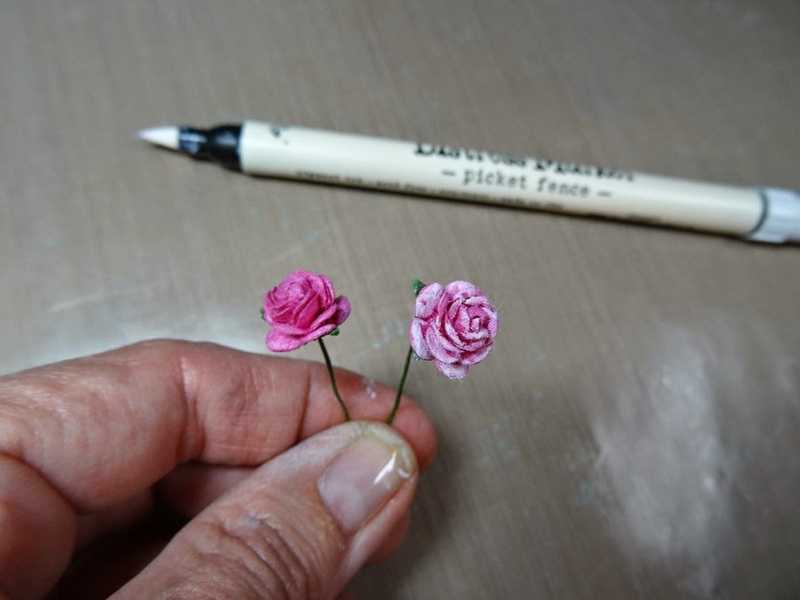 Besides tons of Arts & Crafts How-To's, you can learn how to make fancy sweet popcorn, how to jump start a car, or how to grow hydrangeas from cuttings. And it's all in one place! Like Pinterest and YouTube, you can follow your favorite Snapguiders, you can "like" projects, and you can leave comments or ask questions. I've just gotten an account and uploaded my first guide! It was SO easy to do. 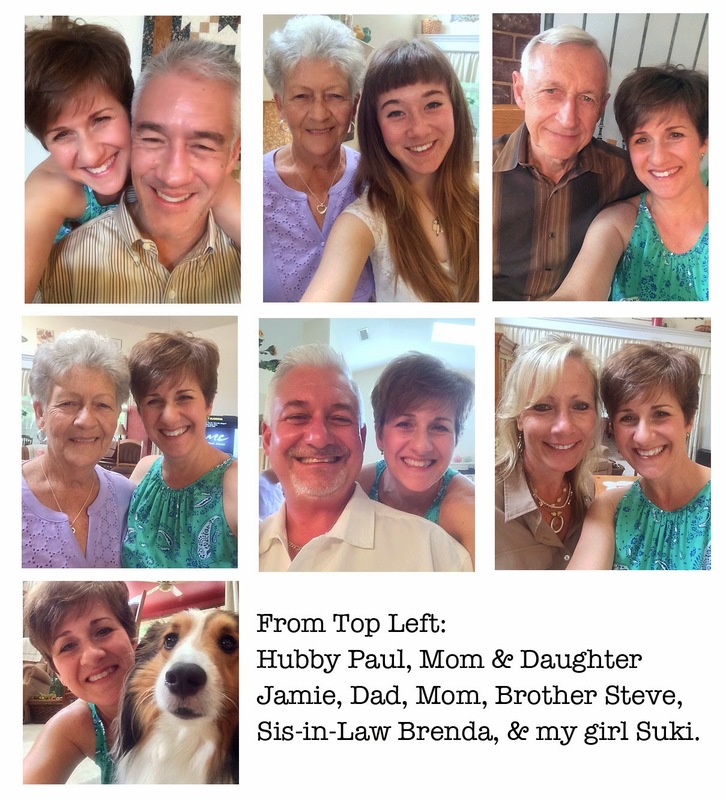 I did it all on my iPhone, but you can post guides from your computer by uploading photos from your camera too. Graphic 45 is partnering with Snapguide and the design team has been having fun uploading guides for Snapguide's recent contest: Upcycled Projects. You can view all the guides in this category and get some great ideas for using or altering items you might normally throw away. Graphic 45 has donated a prize pack for this upcycled contest, so if you have something to share make sure you sign up for a Snapguide account and post your project. You might win big! Meanwhile, here's my upcycled Frappucino box. I gave it new life by creating a beach-themed picnic caddy. Let me know what you think. I'd love it if you followed me, too. 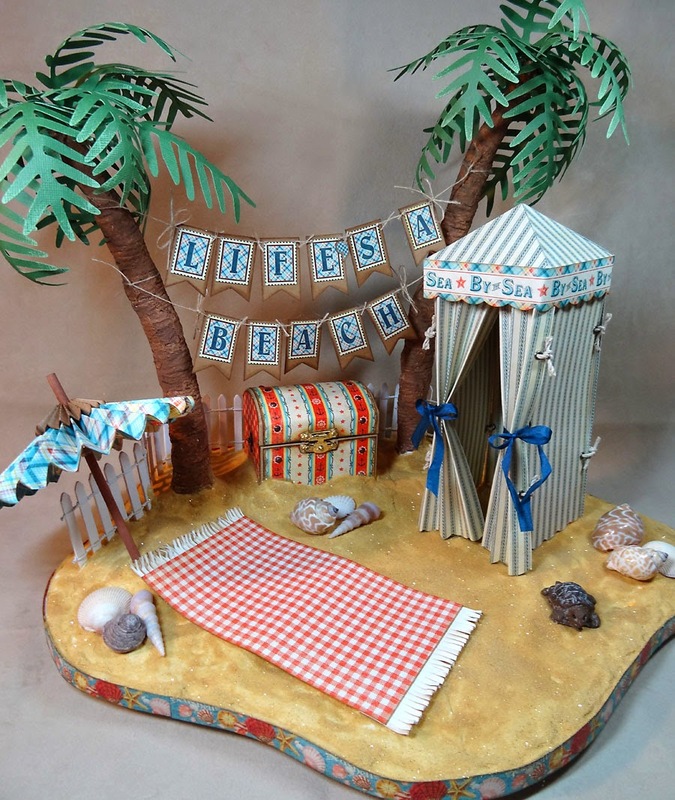 Check out How to Create a Beach-Themed Picnic Caddy From Frapp Box by Annette Green on Snapguide. Hello and Happy Friday everyone! Posting a little late in the day today. I'm over on the Hampton Art blog again today (and yesterday) with my final two cards this week. 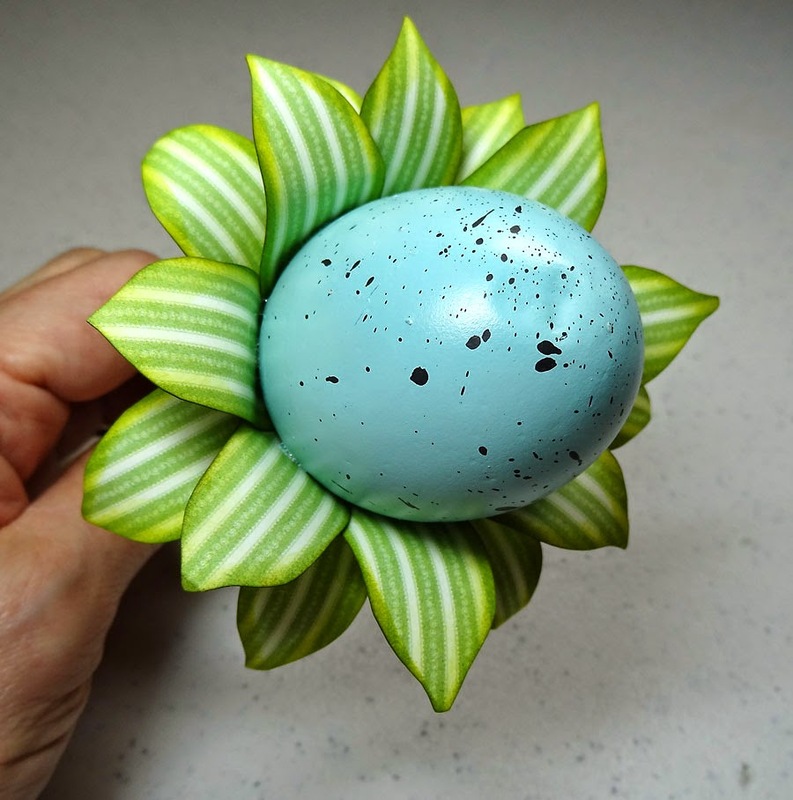 I'll give you a peek below, but be sure to hop over there and check out how each is made and the supplies I used to make them. Thanks for stopping in! Have a great rest of the day. 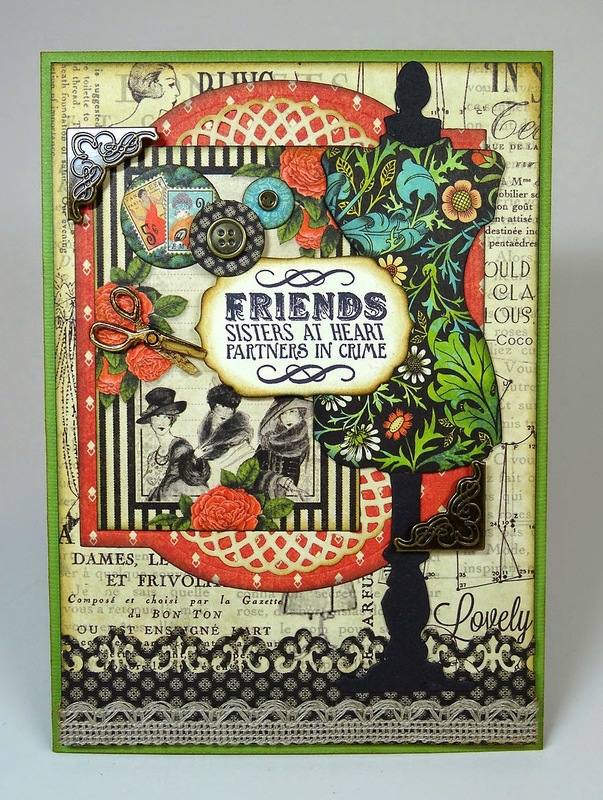 5" x 7" Friends card with Graphic 45's Couture papers and a Hampton Art Stamp & Stencil set. 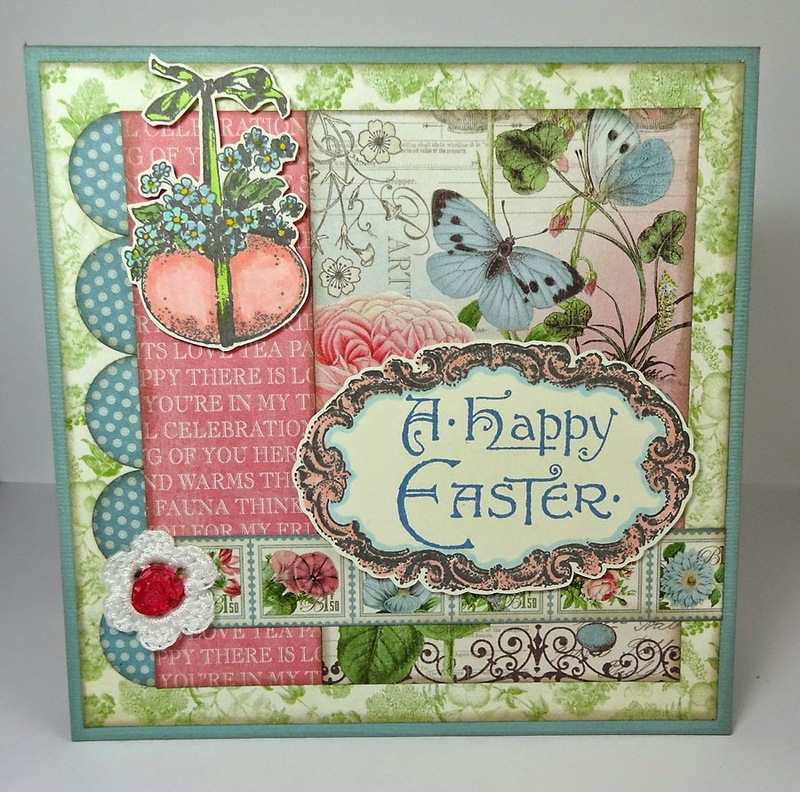 6" x 6" Easter card using Graphic 45's Botanical Tea papers and Sweet Sentiments stamps. 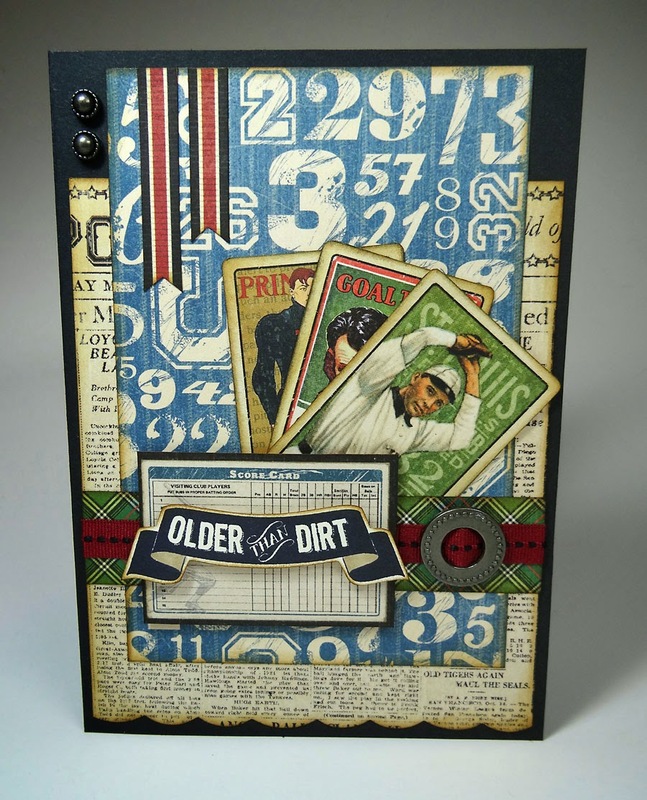 "Older Than Dirt" seemed like a good phrase for my manly birthday card I created using Hampton Art's Laugh Out Loud clear stamps, (SC0619) and Graphic 45's Good Ol' Sport papers. 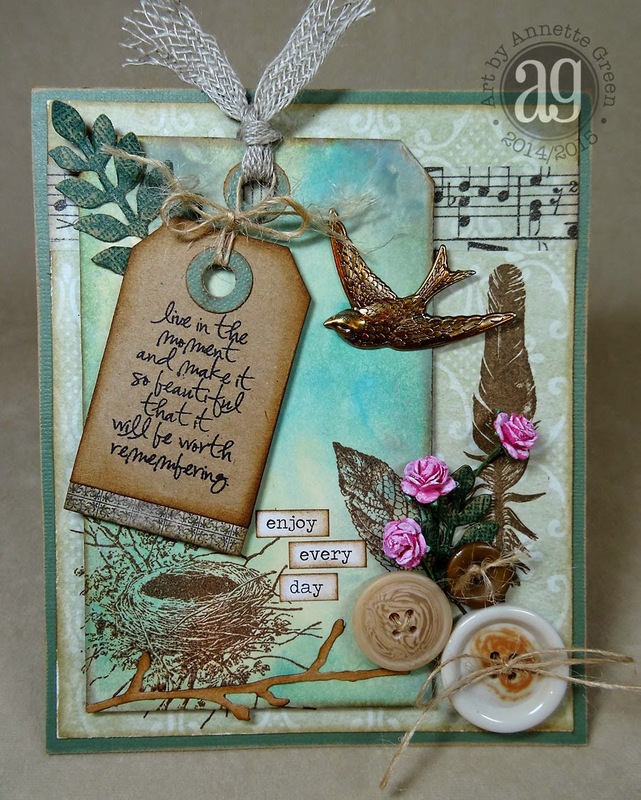 I'm featured over on the Hampton Art blog with this card and tutorial so be sure to check it out here. 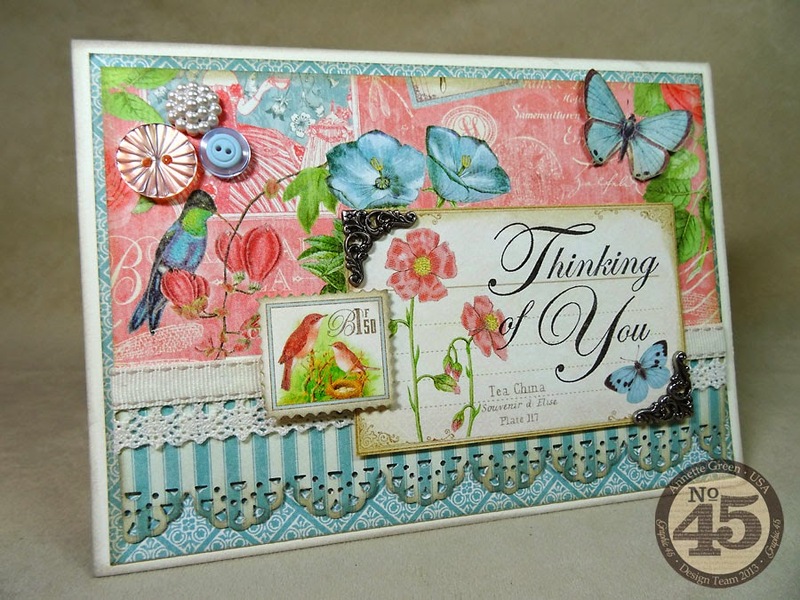 Thanks for all the nice comments on my Butterfly card on their blog on Monday! I appreciate it!! Thanks for stopping by. Two more cards are coming this week with Hampton Art stamps, so stay tuned. And over the weekend, I'll share my excitement about Snapguide!! Have a great day. With the first round of the Graphic 45 Design Team audition done, I'm working away on my audition part 2 project and video tutorial. Meanwhile, I'll be featured for the next several days over on the Hampton Art blog with cards I've created with their wonderful stamps. You can check out today's creation and tutorial at this link. I'll give you a peek at it below as well. Hampton Art, if you don't already know, makes many great lines of stamps. Wood block, cling, clear and for several companies such as Graphic 45, 7Gypsies, Vintologie, art etc, to name a few. 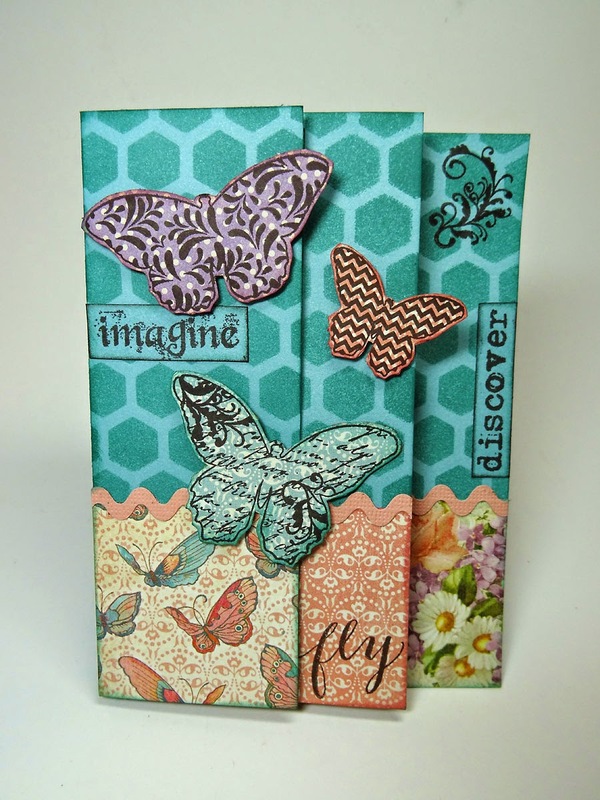 Today's card was created using the Vintologie Stamp & Stencil Set "Butterflies." 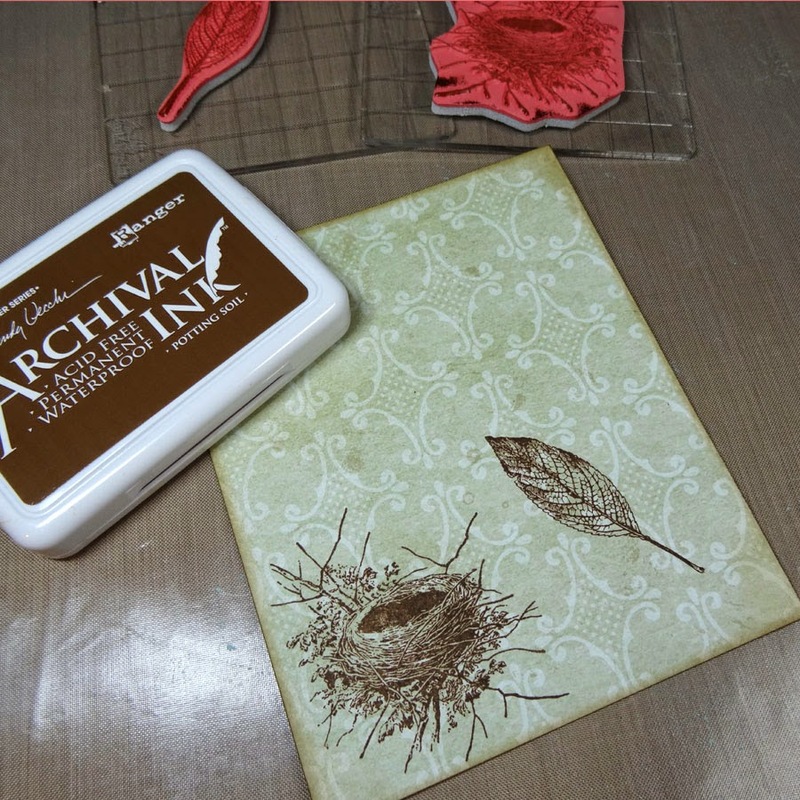 The stencil comes with the stamp set and is made of a soft flexible and slightly tacky material. (Resembling removable adhesive.) Just pop it down on your paper or project (it sticks in place nicely) then do your thing and remove it easily with no damage to your project whatsoever. 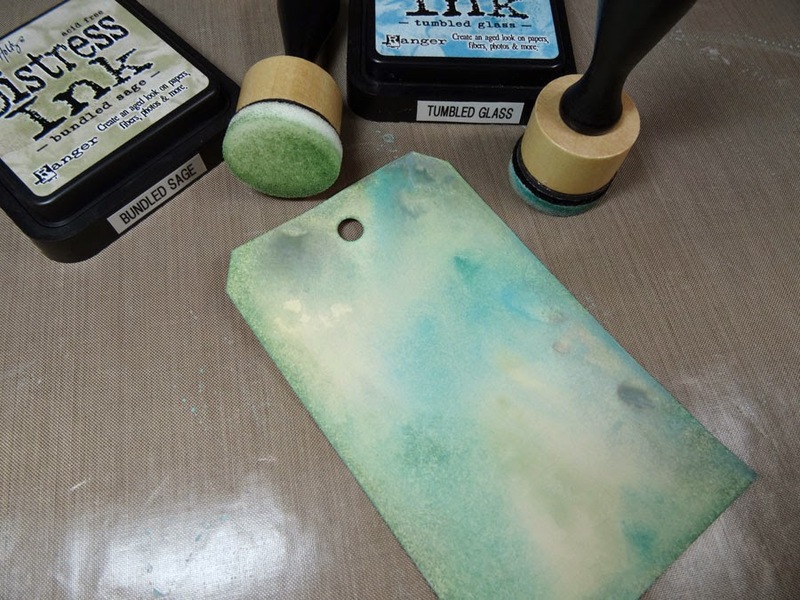 If you'd like to see a quick video by Hampton Art's Kathy Gallagher showcasing the stencil sets, go here. 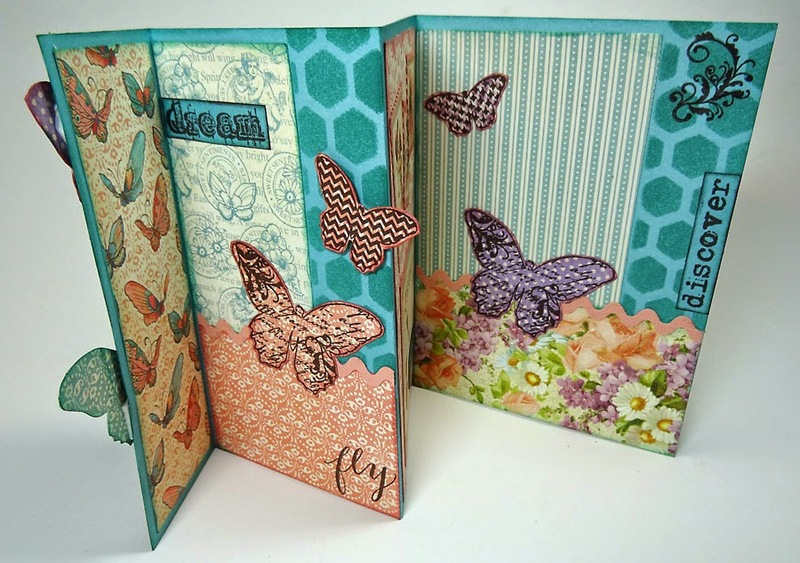 Here's a look at my butterfly card, and be sure to hop over to Hampton Art's blog to check out how I made it then leave a comment there to let them know how you liked the project and their wonderful stamps. Thanks for stopping in today. 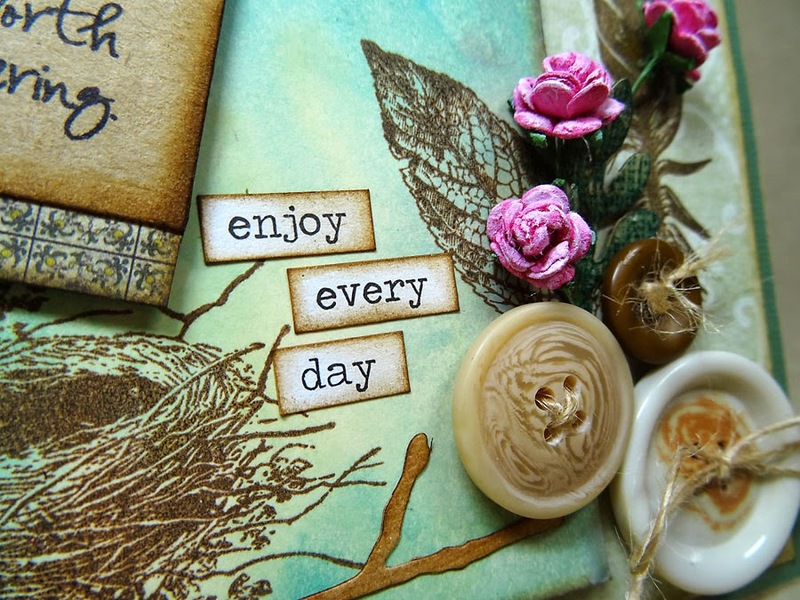 Have a fabulous day and I'll see you tomorrow with another Hampton Art stamp creation.